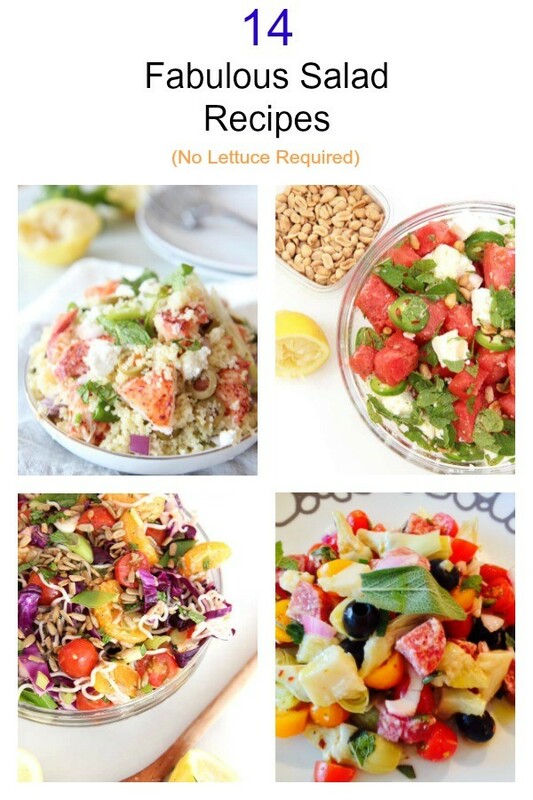 Here are juicy crunchy and refreshing salad recipes to help lighten up life with smiles and great food. 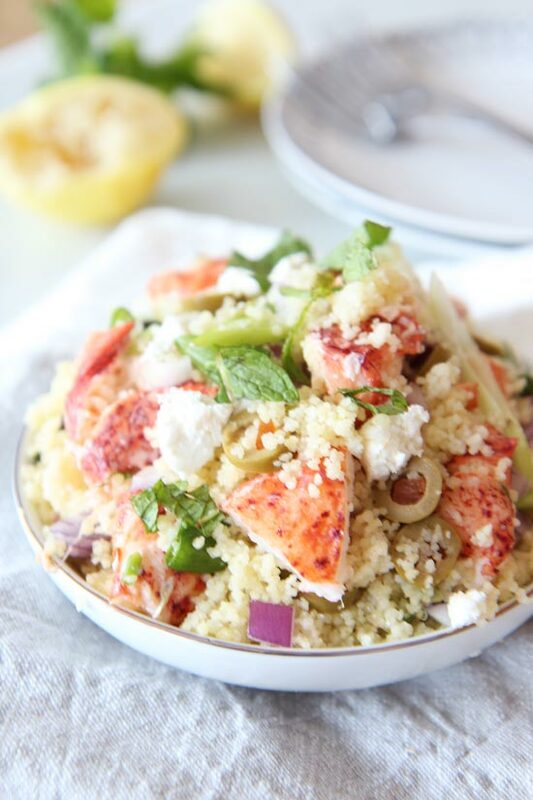 This 10 Minute dinner is light, refreshing, and filled with sweet lobster and lemony yumminess! Less cooking more you time! 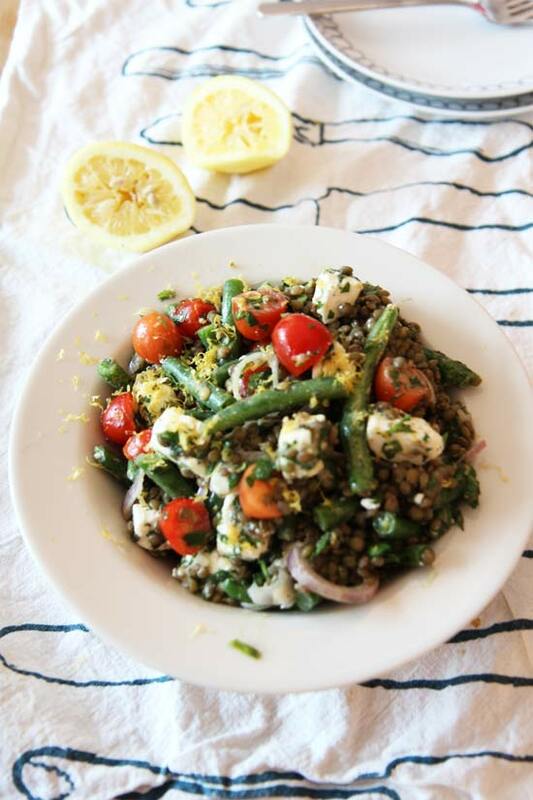 This is bright light and filled with carb friendly comfort! 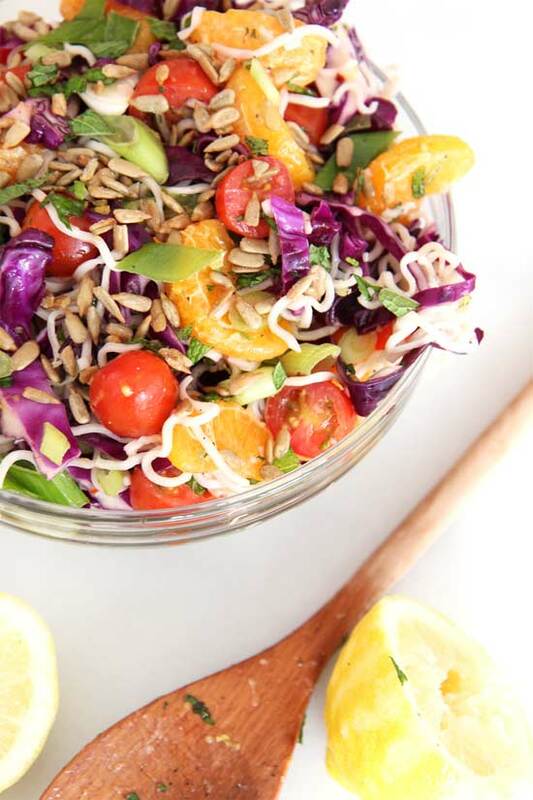 This is not your average mango salad. 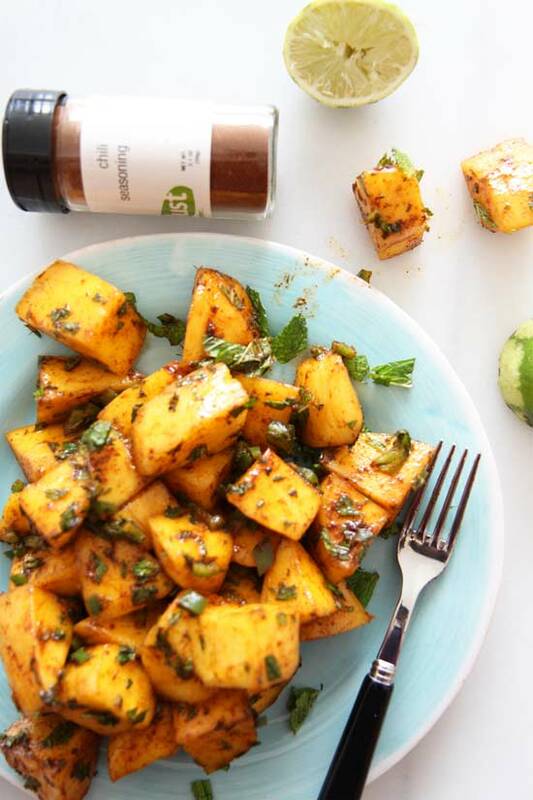 It’s smoky, sweet, and juicy, with just a hint of spice and a touch of mint to round out the flavor. Also, did I mention 5 minutes to make. This will last a couple of meals and gets better each day. This pasta tastes bright and citrusy from the lemon and clementines, crunchy and sweet from the cabbage, and a little spicy from the red pepper flakes. This is my excuse to eat more garlic bread. 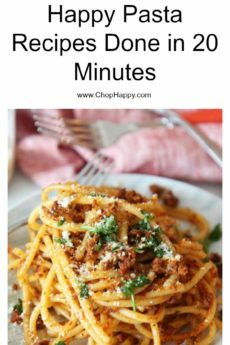 Super easy 15 minute recipe! 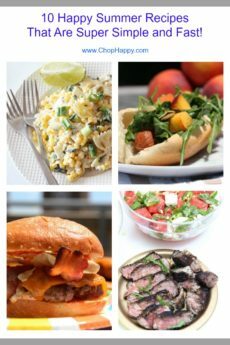 I love sweet and spicy recipes and especially ones with big chucks of salty cheese mixed with juicy sweet fruit and crunchy peanuts. 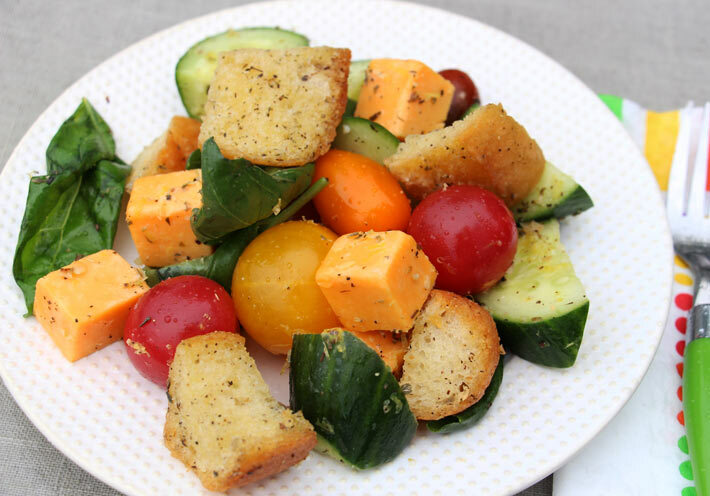 This is a quick salad that packs a big sweet salty punch. 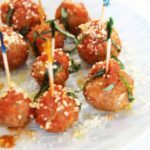 With the sweet deep balsamic vinegar, the earthy sage, salty salami and Parmesan cheese – this will have your family going for seconds and thirds. 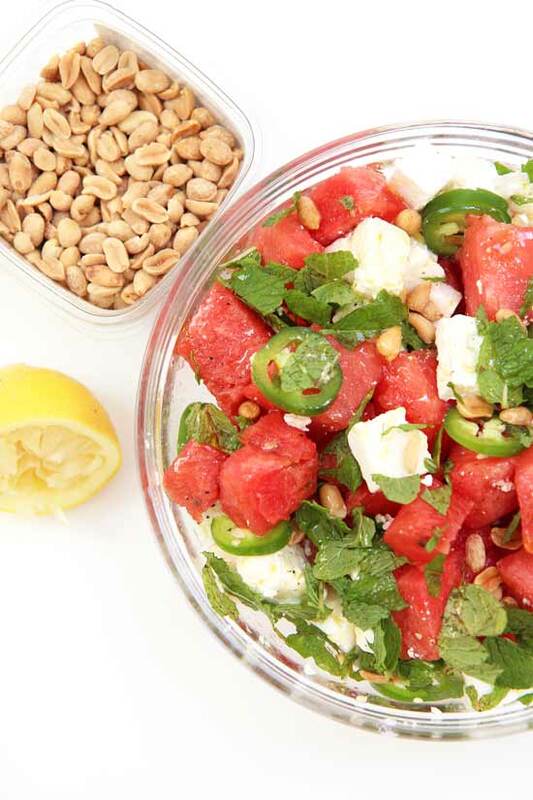 Takes 10 minutes to make and can sit in the fridge for a week! 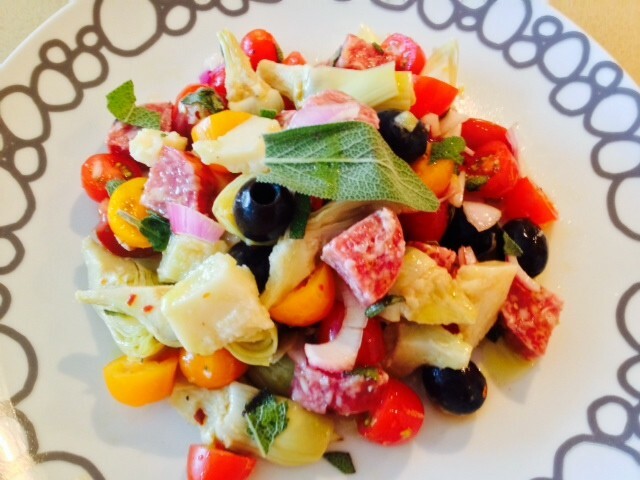 Picture a hot spring/summer day and you crave a cold refreshing recipe to go with your perfect summer dinner on the porch or in my case, Central Park. 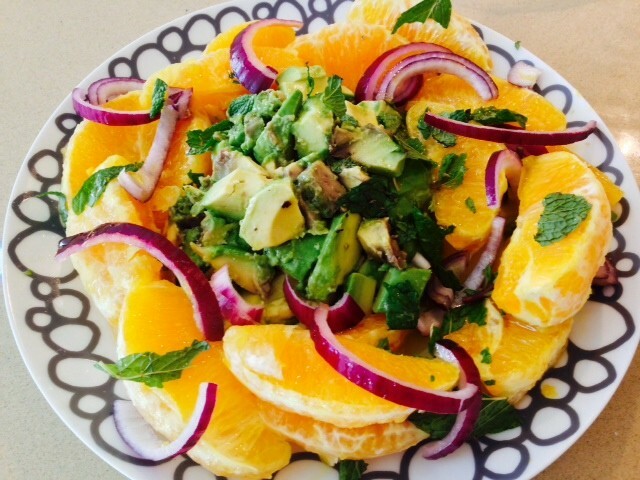 What’s better than oranges and avocado dancing on a plate? 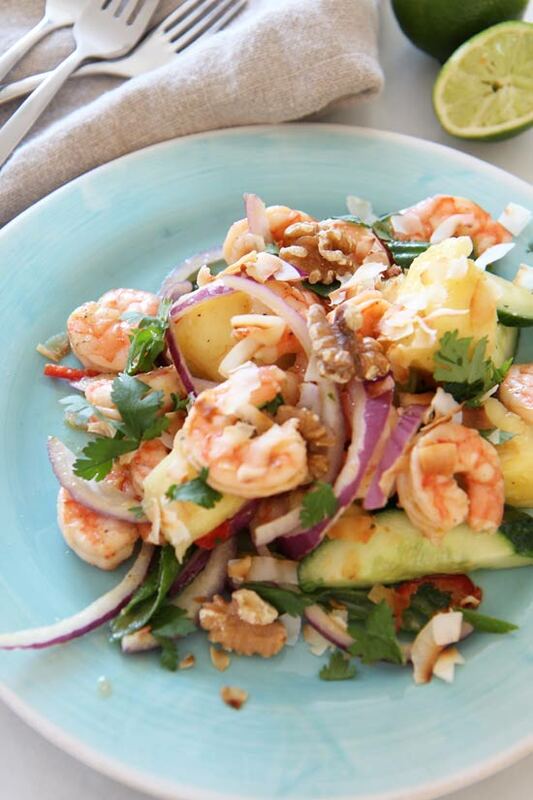 As you take a bite of the juicy plump shrimp and sweet pineapple you are instantly transformed to a tropical vacation. 20 Minutes meal happiness! 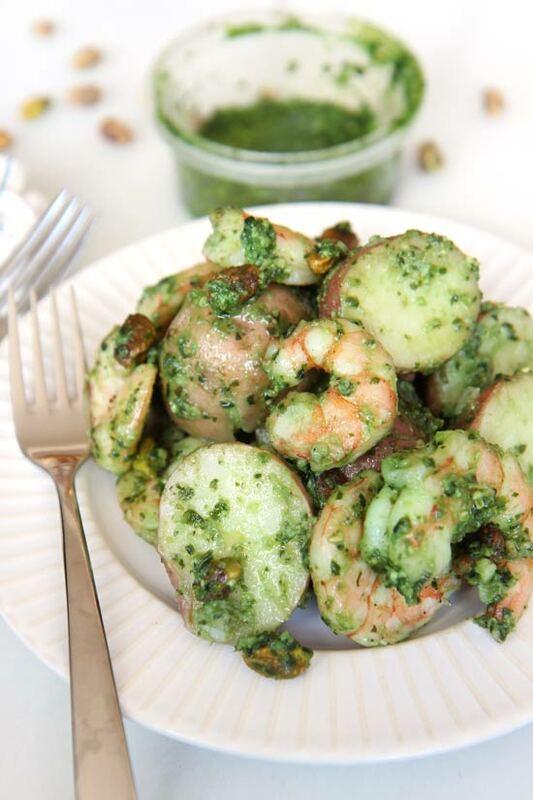 Juicy shrimp dance in garlicky herbaceous pesto potato! 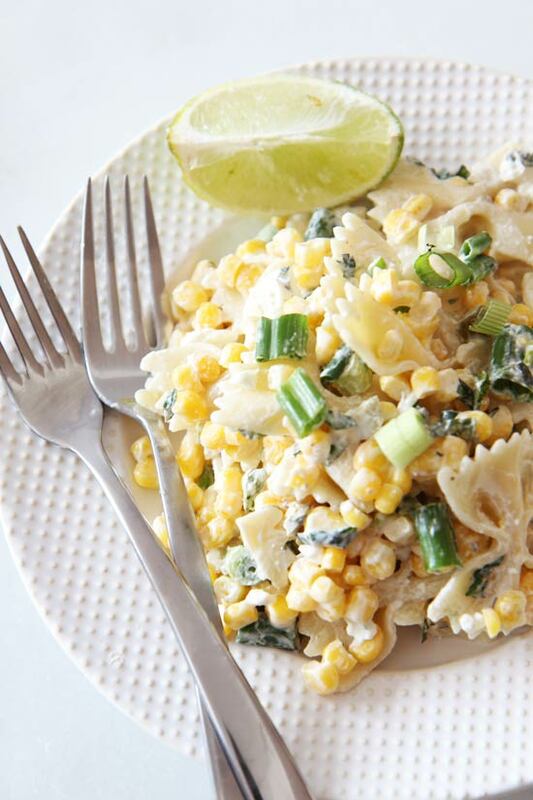 One bite and you know this easy dish is heart warming comfort food love. 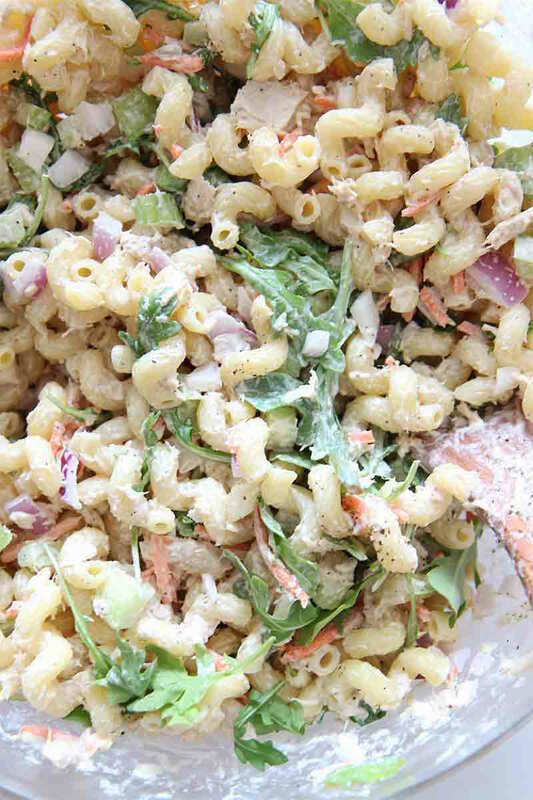 The best part about this tuna pasta is that the longer it sits in the fridge, the more flavorful it becomes. Quick dinner so you have more you time! 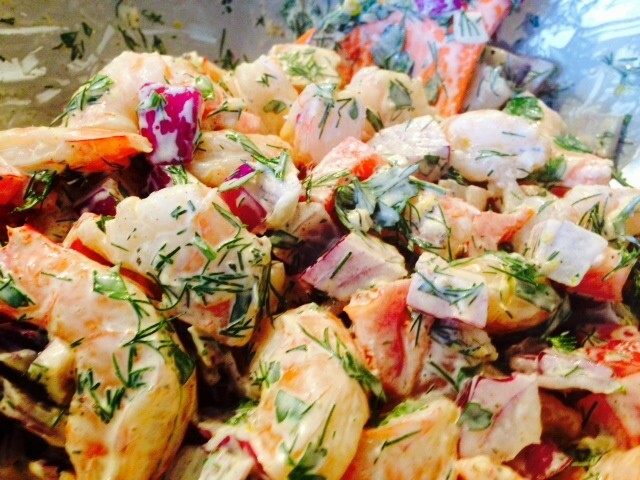 This was a created on one of my recipe tasting party and decided to test a shrimp. Everyone loved the great balance of mayo, spice, and yumminess. 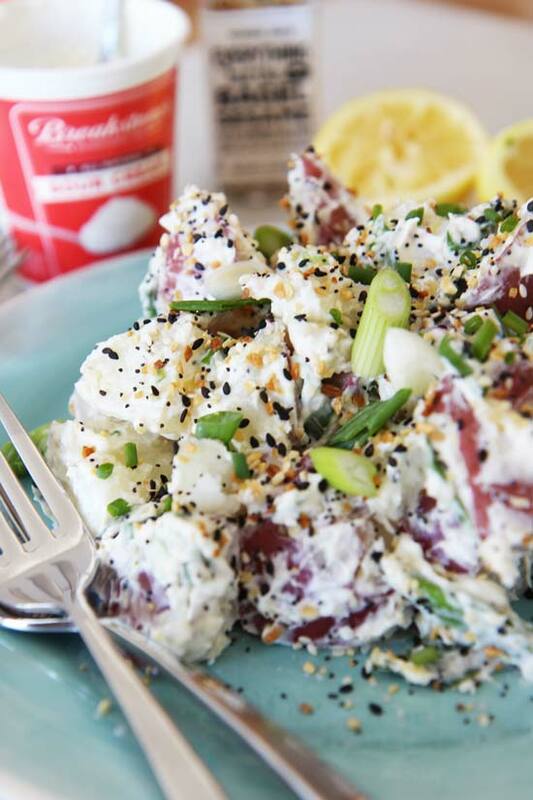 This everything bagel potato salad is starchy, creamy, cheesy. No need to travel to NYC to get a bagel.